Tree Service Broken Arrow - Best Tree Service Broken Arrow OK, Oklahoma. Tree Trimming, Tree Removal, Arborist. ​As a Tree Care Service provider we provide complete arboricultural services to both residential and commercial customers. We combine qualified arborists and an experienced work team with up-to-date training, procedures, resources and modern equipment. We offer tree removal services in the Broken Arrow region, as well as Oklahoma City and provide all the services mentioned above. 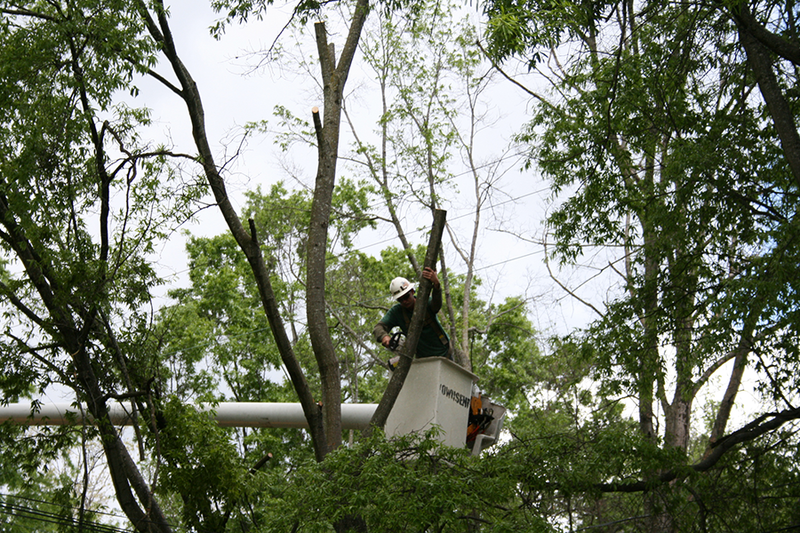 ​24-hour emergency tree service is provided and as a licensed contractor we can work with your insurance company. We also offer recycling service, for all trees, and green waste. This is done by recycling it into bio-products like mulch and firewood. All these products are available for purchase! As a professional contractor we will ensure that your trees and other garden plants are well looked after. Our friendly staff looks forward to helping you. Call us at (918)-602-2188 or Enquire Online Now for a response within a couple of hours. Broken Arrow Local Tree care service provides expert arboriculture services to both domestic and commercial customers. We offer premium tree removal for Broken Arrow residents who can count on us for there cutting and thinning, ground clearing, stump grinding, mulching, vegetation control and 24-hour emergency tree supports. We are proud of our friendly team of arborists. Our impeccable customer service is here to prove it. Our prices are unmatched in the industry which allows you to get the quality of service you need at reasonable prices. For all your arboriculture requirements, call (918)-602-2188 and we will arrange them for you! The company is led by experienced and trained Arborists which takes standard health, environment, but also Community policies and standards into consideration. We have an extensive experience of industry standards, and are committed to maintaining high rates of safety and professionalism. ​Since safety is our priority, we make sure to protect the wildlife and flora, as well as to keep people out of any danger zones. To achieve this, we conduct on-site comprehensive assessments to meet the needs of the vegetation and those affected by it. Every detail is properly looked after. Our loyal customers put their trust in us because of our distinct expertise in the field and our ability to accommodate the needs of the private residential and commercial properties. No project is too big or too small for our employees. ​Our tree removal services are unmatched in the industry, as we have the ability to remove a tree of any size with care and convenience in virtually any location. 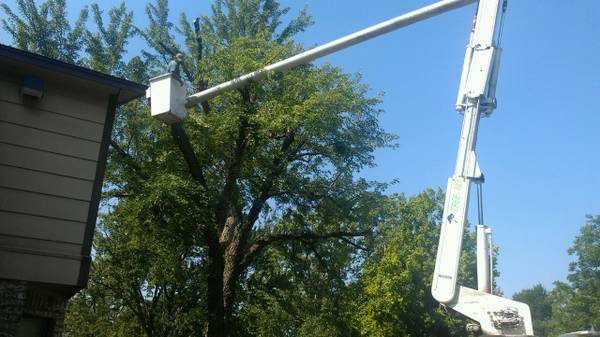 We take great precaution in the whole tree removal process and always make sure to use a crane if we are faced with limited space or electrical hazards. In addition to the removal itself, we also offer the maintenance of trees, which is important to their health, safety, and stability. Also, we are available for emergency tree removal, providing a fast 24-hour response to your request. You can also contact us for the general management of vegetation and other niche arboriculture services. With our extensive experience and full range of services, you are sure to get the assistance you need. Do you need a specialized group of people to deal with an extensive tree arboriculture project? Do you have a tree obstructing your home that needs to taken care of? Are you looking for the best tree care specialist in the area to handle the maintenance of your vegetation? If so, our professional team here in Tulsa and Oklahoma City is happy to help! Give us a call at (918)-602-2188 to find out more about our services and prices. We also support an appliance repair company in Thornton Colorado. You can give Thornton Express Appliance Repair a call for any repairs you need. ​Does the Company Have Good Reviews? At Tulsa Tree Trimming Services we are a fairly new company so we are still building up are reviews but that said one thing we want to point out is. The biggest things you should always do before hiring a company is acquire some tree service broken arrow reviews, it may save you a lot of hard ship and money down the road. Even after reading some tree service Broken Arrow Oklahoma reviews on Yelp, yellow pages or even Facebook it’s a good practice to ask them over the phone directly or even call some of their past customers up directly. 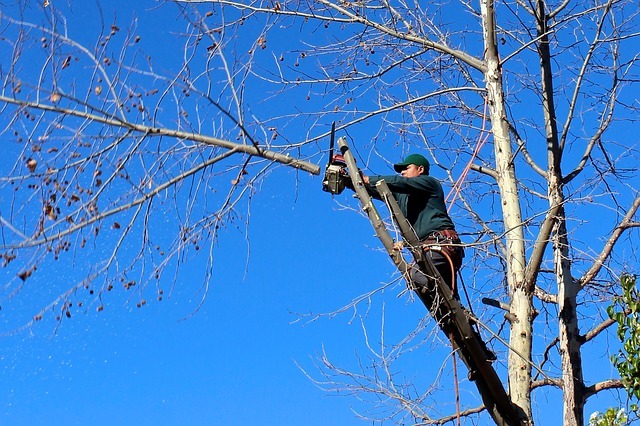 Doing this will help you to decide which tree removal Broken Arrow company is best to hire. 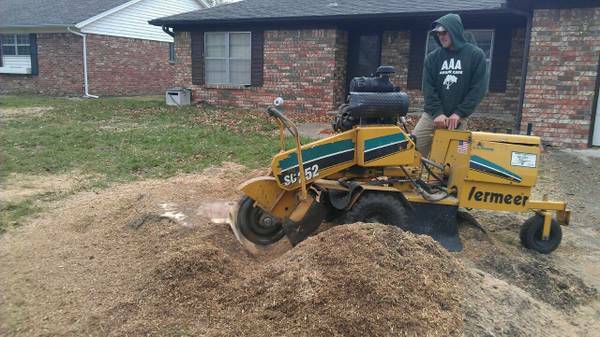 Even if it is a simple stump that needs removal calling around and finding the best stump removal Broken Arrow Company is a good idea. You also need to get a good idea on price since tree removal Broken Arrow cost vary from one company to the other. So which company should you hire to do the work? That’s a good question since there are so many companies out there. In Tulsa Oklahoma we have a ton of companies out there like Nick’s Tree Service, Coulter Tree Service and Nosak Tree Service to name just a few. So how does Tulsa Tree Trimming services stand out compare to them? Well we are focus on having great customer service and preforming a proper job. When we set up a time with us, you can expect us to be on time. You can expect us to clean up after we are gone. There have been many time’s where we will go above and beyond to make sure our customers are happy. The worst thing for Tulsa tree trimming services is to have a bickering customer because we did not live up to our words. We have your back at this company so we hope you will give us a chance to win your business. ​Does the company have the proper tools? The next thing you need to know is that we have the proper equipment to get the job done. If you’re looking for the best tree removal broken arrow has or certified arborist Broken Arrow OK has then this is the company. We are only as good as our tools and we love our tools if that says anything about us. You may have noticed companies like Rickert landscaping & tree service, Watkins tree service Tulsa and Mcholland tree service advertise their nifty tools on their websites. Well spoil alert we have them too. Don’t hire a company merely off their tool make sure they have years of experience and know what they are doing. ​Does the Company have an Arborist? When hiring a company make sure you find one that has an arborist in Broken Arrow ok. There have been tree service companies that have arborist working for them but don’t come out and do a proper inspection. Make sure the one who comes out to your property is a certified arborist and not merely the one working for the arborist. This is critical information when deciding to hire a company. Whether you want some tree trimming, tree service in Broken Arrow, OK or Tree service Coweta ok make sure it’s the professional coming out to do the inspection. The last thing we want you to know before giving us a call is we service a 50 mile radius around Broken Arrow Oklahoma. If you need Tree Service Muskogee OK or even some Tree Service Bartlesville ok done we have you covered. Not all companies like Mcholland tree service, Midtown tree service Tulsa or even Preachers tree service can offer such distances. We are able to do this because we have a big team of professional tree service employees. Our employees are the back bone of this company and we do not have a high turn around rate. Most of our employees have been with us from the start because they like the way we treat them and our customers. If we get a 5 star review from one of our customers our employees get rewarded as well. As far as we know were the only company to do this. Companies like 2 brothers tree service Tulsa, CMB Tree Service, Mar’s Tree Services and other companies treat their employee’s great but we go above and beyond. If you have any questions or would like instant quote from one of our certified arborist please give us a call at (918)-602-2188 or fill out the form on the side. Thanks and we hope to be if service soon!